Do you support Middlesbrough FC? Is Boro your local team and do you regularly attend matches? Are you an expert on the players and managers who have played an important role in the club over the years? 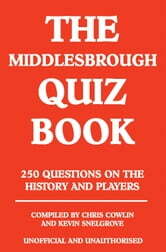 If so, the time has come find out how much you really know about your favourite football team with this new quiz book all about Middlesbrough FC?The 250 challenging questions have been designed to test your memory of all aspects of the club with sections on the all-time great players, nationalities, managers, top goalscorers, club honours and all the memorable wins, draws and losses. 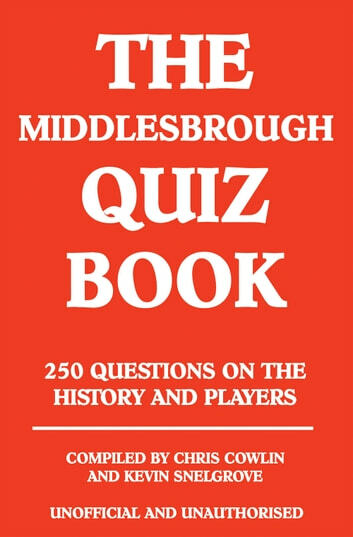 If you are up to date with events at Boro, or would like to know more, then this quiz book is certain to appeal to you.Fun and informativeThe Middlesbrough Quiz Book and is a good way for fans of all ages to learn more about the club’s history. Perfect for match day, quiz night, sharing with family or for proving beyond all doubt who really knows the most about Boro.